Maintaining your hearing aid through daily cleaning and regular service is extremely important. 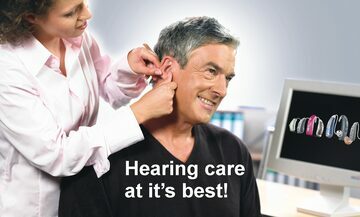 Proper care helps retain optimum hearing conditions, extends the life of your hearing aid, and ensures proper hygiene. 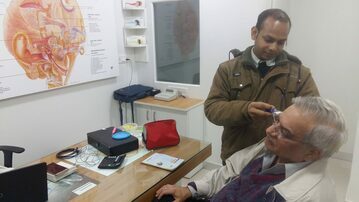 We at Gurgaon Hearing Aids Center provides repair and service of hearing aids of various makes and models. Pure Tone Audiometry (PTA) is the key hearing test used to identify hearing threshold levels of an individual, enabling determination of the degree, type and configuration of a hearing loss. At Gurgaon Hearing Aids Center, Pure Tone Audiometry (PTA) is carried out by our expert audiologist to gauge degree of hearing loss. 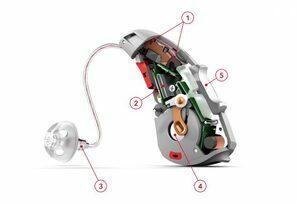 We offer a wide range of accessories designed for simpler and more convenient use of your hearing aid. Get an overview of the accessories in the menu to the right and read more on the subsequent pages. An earmold is a piece of plastic, acrylic or other soft material shaped to fit a patient's ear canal, and/or the outer ear structure (Concha) surrounding the ear canal. 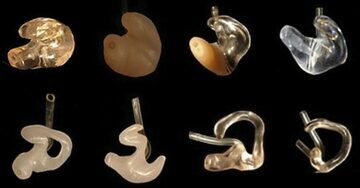 Earmold styles vary according to level of hearing loss, and the style of hearing aid with which they're paired. In many cases, earmolds sit inside the ear canal, hidden from view. Other times, earmolds sit in the concha bowl as well as in the ear canal. We help our clients in finalizing the best possible hearing aid as per their need, lifestyle and budget. Experts at Gurgaon Hearing Aids Center will work with you to find the right hearing aids for you. That selection process, called a hearing aid fitting, starts with an assessment of your needs and ends with follow-up visits after the customized programming of your devices. Speech therapy is the evaluation and treatment of communication disorders and swallowing disorders. 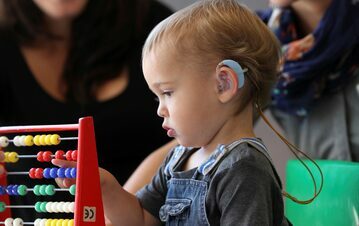 Speech therapy enable people (specially kids) to speak clearly, who are suffering from hearing impairment or some type of speech disorder. Our highly trained experts will help with articulation disorder, cerebral palsy, stammering and other voice disorders.